It is said that, the wheel is the best invention of all times. However, most bikers would agree that, two wheels and a motor placed between them is the greatest invention ever. Motorbikes are still one of the most preferred modes of transportation around the globe. It is dear to bike enthusiasts who would ride with pride with all the state-of-the-art biker gear and so is to an average individual living in a developing nation traveling about in his puny 100cc motorbike. Let us take a look at some of the fastest bike that was ever built by man. The MTT Turbine Superbike is quite popularly known as the Y2K. Weighing around 230 kgs, the Y2K is truly the world heavy weight champion of the super bike world. Y2K is one among the few motorbikes in the world that is powered by a turbo shaft engine. The heart of the machine is a Rolls-Royce-Allison 250 gas turbine engine that can produce 320 horse power (hp) at 52000 rpm. The bike can bolt to 370kph (227mph) and is thus considered the fastest bike that was ever built. All the power comes at a price. It is in-fact the most expensive super bike in the world. Unveiled at the North American International Auto Show in 2003 by Dodge, the Dodge Tomahawk is a non-street legal super bike. Dodge boasts top speeds of 670 kmp (417 mph). However, the bike was never demonstrated to travel at such speeds. Later one of Dodge’s spokesperson revised the earlier claim and reduced it to 480 kmh (300 mph). We have given it the 2nd position in the list since we still don’t have any solid evidence, but the bike still has the potential with an 8.3 liter engine (2 valves). If the Dodge Tomahawk were completely painted in black it would look like the Batpod. Power: 500 hp (370 kW) @ 5600 rpm Top Speed Claimed: 480 kmh (300 mph) – not proved. The Hayabusa is one bike that any bike lover will crave for. The iconic bike was quickly acclaimed as the fastest bike in the world as soon as it was released. The bike can reach a top speed of 397 kmh (248 mph) in any course. The 1340cc, 4 cylinder engine can churn out 197hp at 6750 rpm. The ZZR1400 and the Ninja ZX-14R are almost the same. This bike is a true sprinter, and can bolt from 0 to 60 mph in just 2.5 seconds. The true top speed of the bike is still argued by many, since the bike has been electronically limited to reach only a top speed of 299 kmp (186mph). 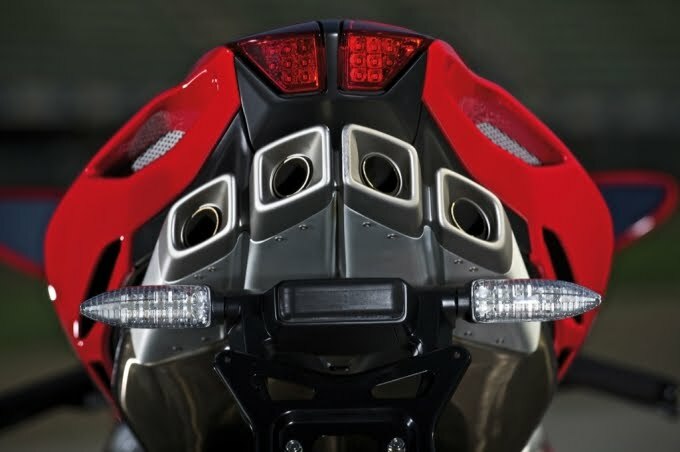 The MV Agusta F4 is the successor or sometimes claimed to the resurrected version of the iconic MV Agusta. The 998 cc engine can produce 174hp at 10,000 rpm. It can reach a top speed of 299 kmh (185 mph). Power: 174hp at 10,000 rpm Top Speed: 299 kmh (185 mph). The YZF R1 is quite commonly referred to as the R1. This is one bike that saw a lot of improvements for quite some time from its manufacturer. All the improvements in the engine and body make this a favorite among racers. The top speed of the bike is 293 kmh (182 mph). Power: 128.2 hp @ 10000 rpm. Top Speed: 293 kmh (182 mph). Aprilia is not only famous for making dirt bikes, but also powerful sports bikes. The RSV Mille is powered by a 997cc V-twin engine, which can produce 105.24 kW of torque at 10,000 rpm. This bike was released back in 2004. The 16 valve, 4 cylinder engine can reach some record breaking speeds. The 1200S enjoyed limelight instantly after its release because of the high speeds. The bike was manufactured between 2007- 2009. The 1098s is powered by a 1198cc V-twin, 4 valve engine. The bike was not only seen in roads, but also in race tracks. The bike can reach a top speed of 278 kmp (174mph). A real classic, the production of the CBR1100XX Blackbird was stopped back in 2007, but this bike still has a cult following. 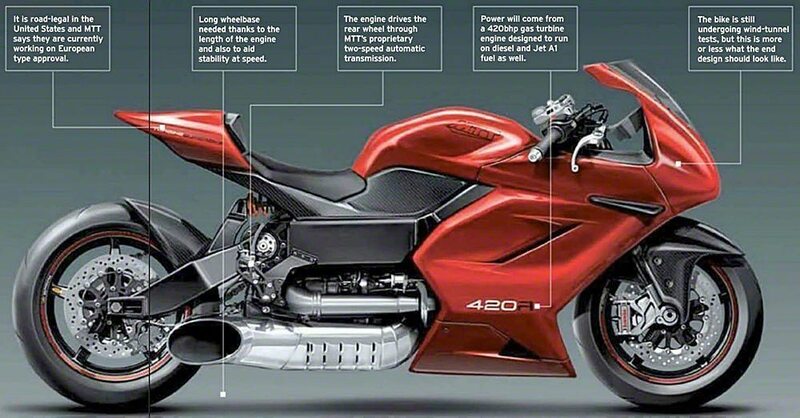 The super bike is powered by a 4 cylinder 1,137 CC engine that can produce 132.9 hp at 9,500 rpm. Power: 132.9 hp at 9,500 rpm. Top Speed Claimed: 270 kmh (170 mph). There you have it, the top 10 fastest bikes in the world. It doesn’t really matter what kind of motorbike you have and how fast it can travel, make sure you wear your helmet, along with all the necessary biker gear for a safe ride. With speed comes much thinner margins for control. Best to be a very skilled rider before getting on any of these machines in my opinion! Wouldn’t the K13S be faster than the K12S? Also the 1098…not the 1198 or 1199?